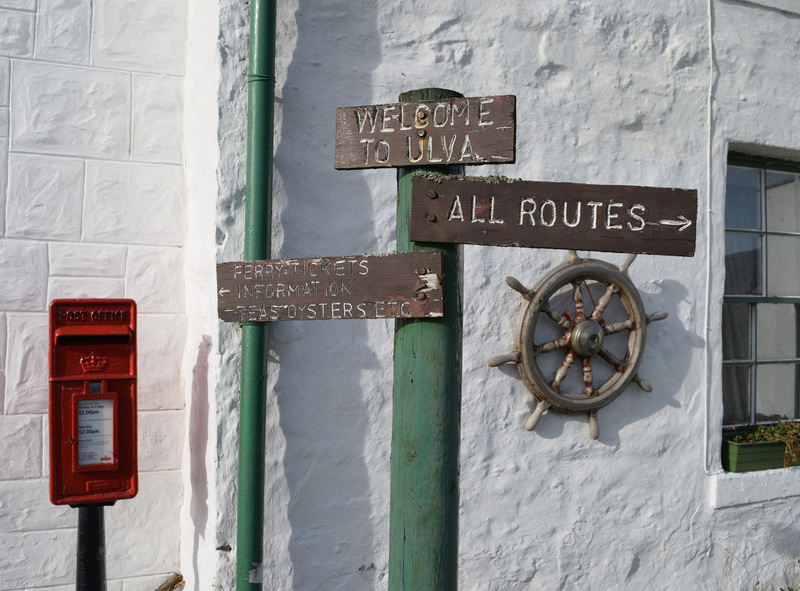 Mull is a large island overshadowed in fame by its smaller neighbours - both Staffa and Iona are reknowned internationally. 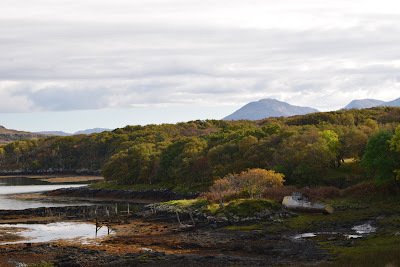 But there is one island just off Mull that is far less well-known - Ulva. We decided to visit this beautiful spot when on Mull for a few days. 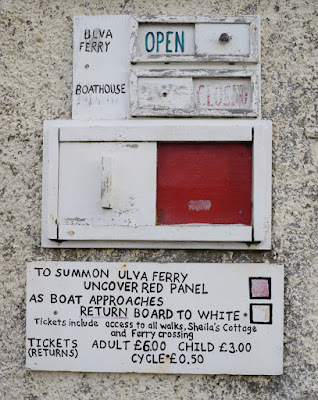 lives on Ulva. Bear that in mind in case you are stuck on the island! Arrival is cheery - the boathouse..
We went inside and said hello to Sheila. 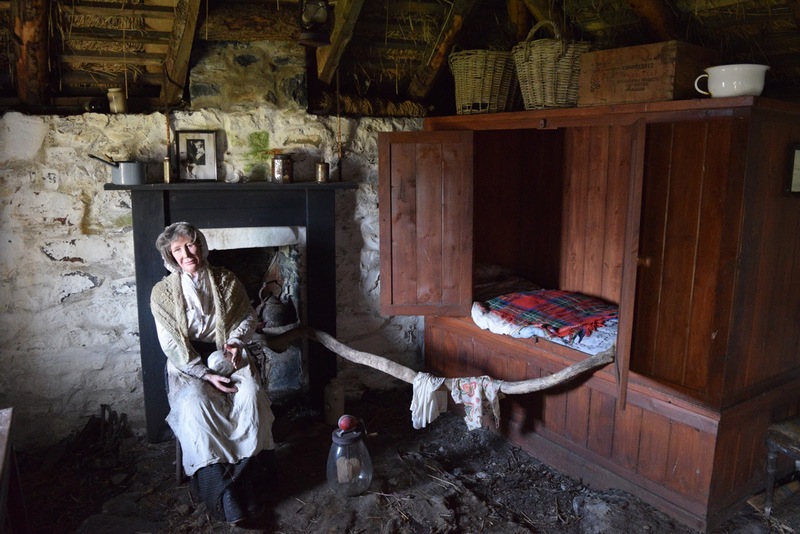 She was the last resident of this cottage, living here until the 1950s. This part of Ulva is pretty, but it is not immune to the juxtaposition of natural beauty and manufactured ugliness that Jonathan Meades characterised, with some enthusiasm, as 'The Isles of Rust'. There were other, more picturesque ruins. There is something about the shape of a boat that is beautiful no matter what state it is in. Between the sea and the interior, delightful woods drew us on. Mull is an island of surprises to the person who assumes it is all about climbing Ben More, visiting Iona, spotting an otter and going home. To the person like me, for example. 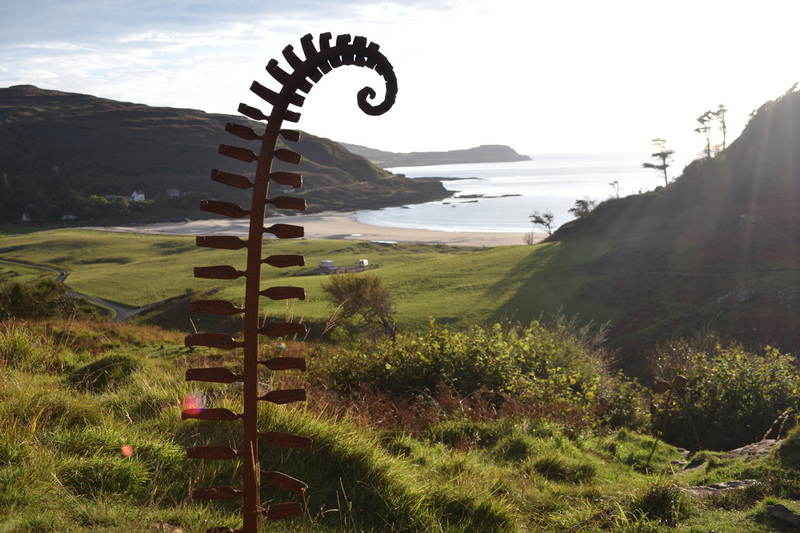 And one of the things we did not know about Mull is its collection of fine beaches. There are superb beaches at the tidal island of Erraid for example, we knew about that. 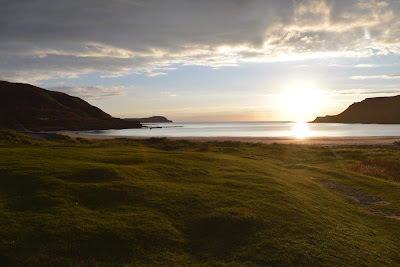 And there are other beaches tucked away on the Ross of Mull. 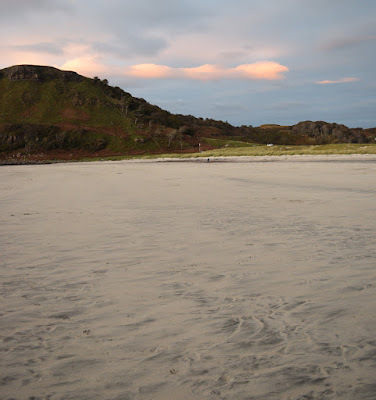 But we did not know about the beaches of North Mull, the superb Langamull beach for example. 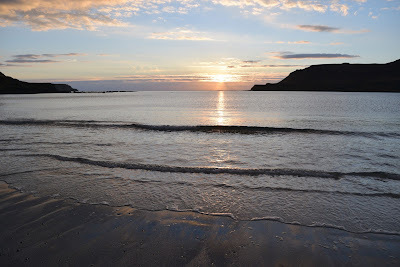 And we had never been to the only one that is widely known beyond Mull - Calgary Bay. On arriving we discovered a wonderful sculpture trail, Calgary Art in Nature. 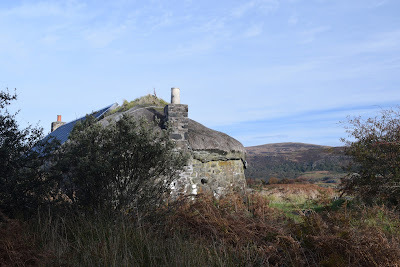 It is free to wander round with donations accepted. 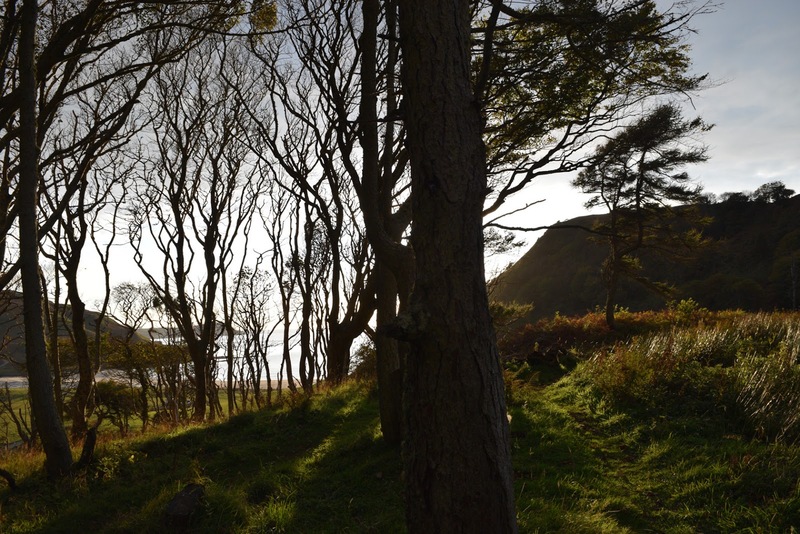 The trail is set in a beautiful wood tumbling down the hillside from the cafe to the shore. At the edge of the wood the sun came out and we could see the beach below us. 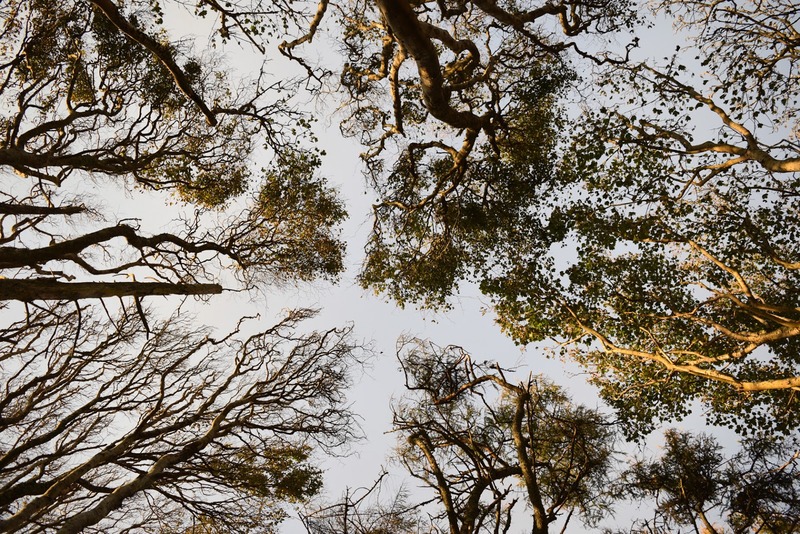 There is something special about these pockets of ancient, windswept woodland that run the length of Britain and Ireland's west coasts. The 'golden hour' was just passed as we reached the beach. 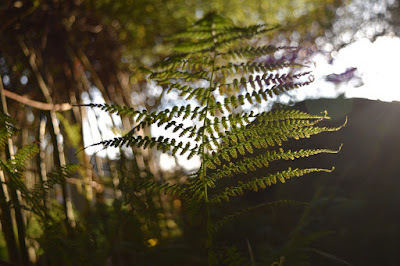 A fine sunset instead. The house in the distance is Calgary House. Lt-Col James Macleod, Hebridean-born Commissioner of the Mounties in the later 19th century, was inspired to christen the city of Calgary in Alberta in its honour having enjoyed excellent hospitality at Calgary House. We are a long way from the gleaming city of over 1 million people here. 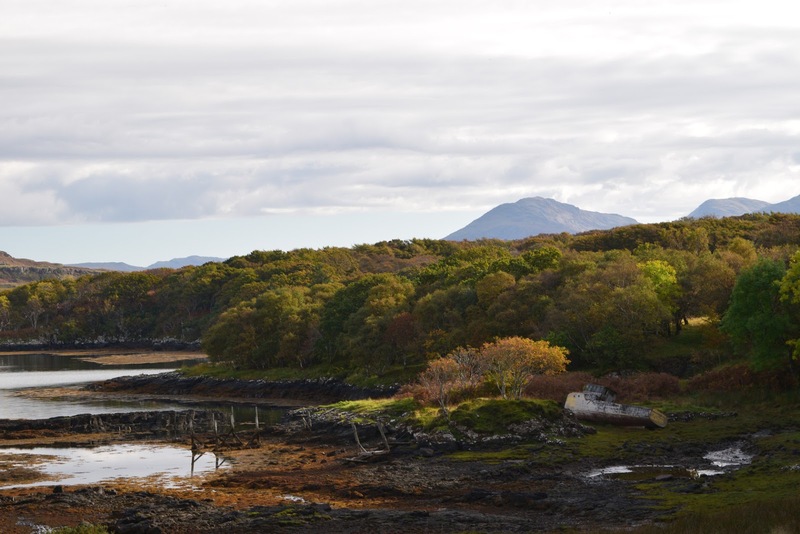 The entire population of Mull is only 2,800. 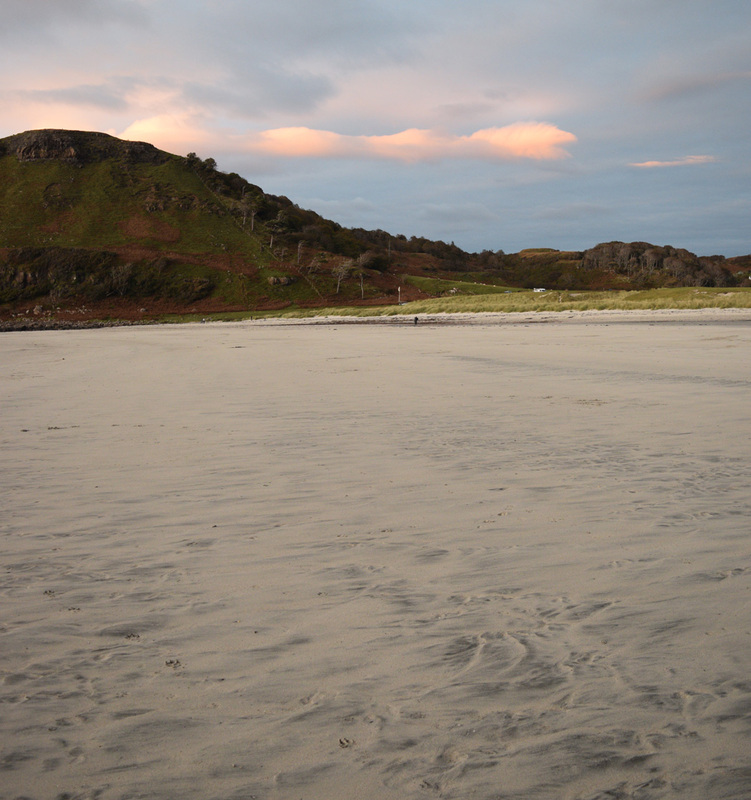 Only two of them were out on the beach with us on this fine sunset. 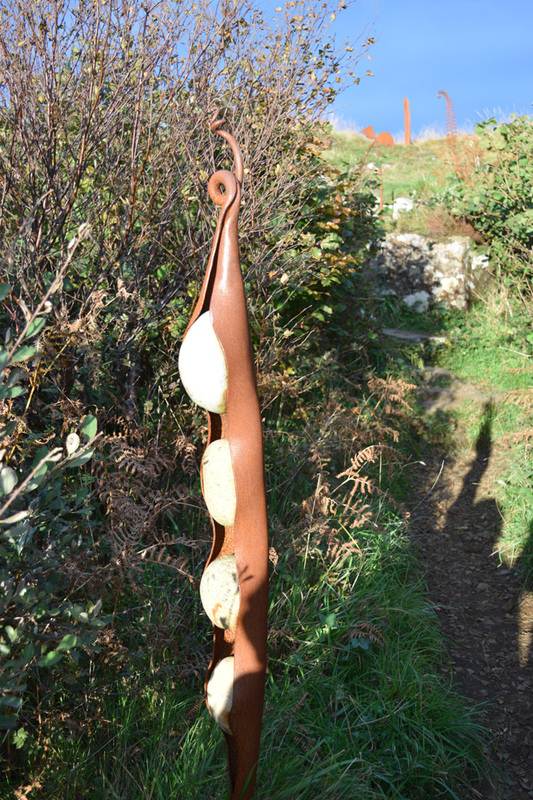 As we made our way back through the trees the trail took us past more sculptures. 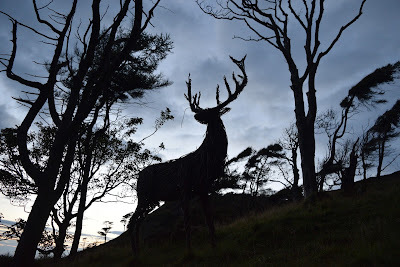 With stags roaring in the gloaming in the hills all around us the sculptures seemed to gain presence in the fading light, hurrying us back to our car. 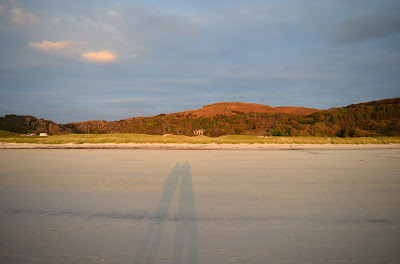 We'd been to Mull before. 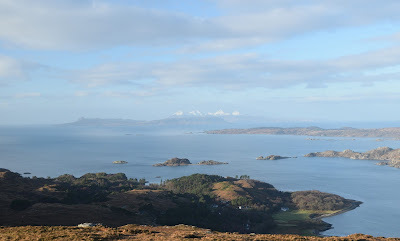 Twice to visit Iona, I had been up Ben More a couple of times, and we had cycled down the Sound of Mull from Tobermory to Craignure on the last leg of an island-hopping holiday. 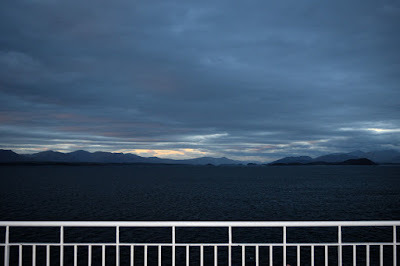 So we thought we'd seen Mull. But we we were wrong. And of course we were! Mull is the fourth largest island in Scotland. From Fionnphort to Treshnish it's 65 miles, two and a quarter hours drive on Mull's single track roads. There's a couple of castles to visit, 27 Marilyns to climb, a galaxy of offshore islands including Iona and Staffa, one of the west coast's most picturesque villages, seacliffs, waterfalls, loch and forest walks, beautiful white sand beaches, and a whole load of wildlife. 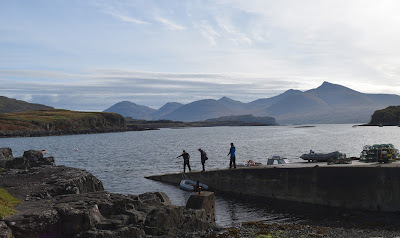 We were keen to see some of this wildlife so asked Jacqui and Mike of Enjoy Mull to show us around. What a great investment that was! 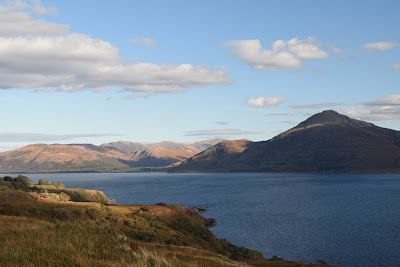 Without knowing where to look we would never have seen Mull's famous white-tailed eagles, despite their size. (Now the chicks have fledged, eagles spend most of their time hanging around in trees.) 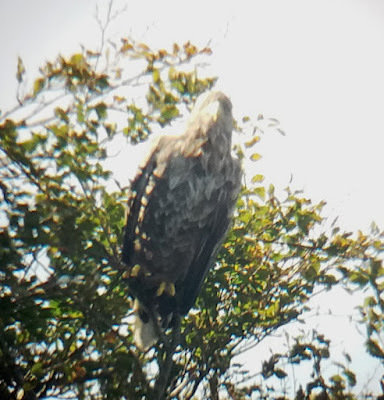 We watched a huge bird, up to a metre tall - imagine a bird of prey that tall standing next to you - perched on a tree, taken aback by its piercing glare. "It seems to be staring right at us," we said. "It has a better view of you than you do of it," replied Mike. 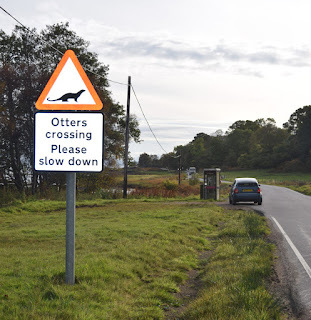 There was an otter on Loch Spelve, geese and young stags at Loch Don, and herons. A lot of herons. 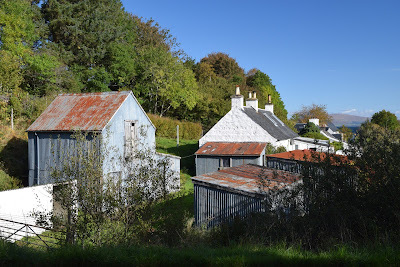 If Mull is famous for anything, it probably should be herons. 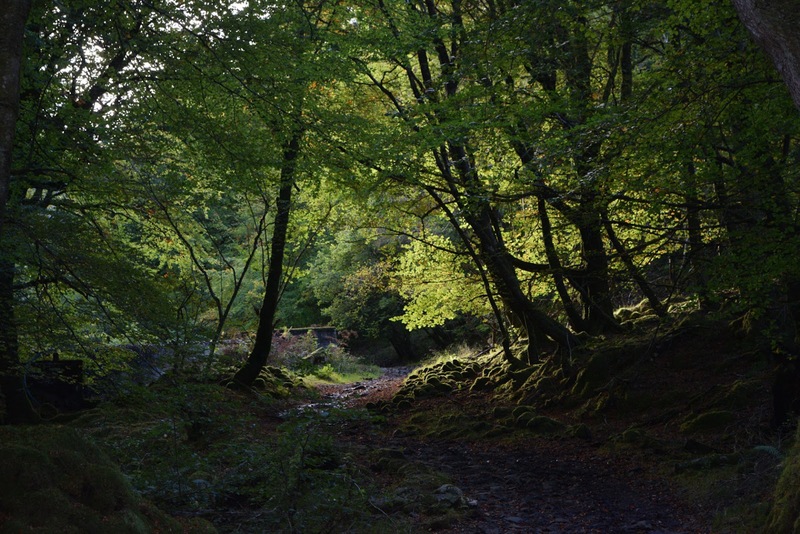 And Mull is lush. 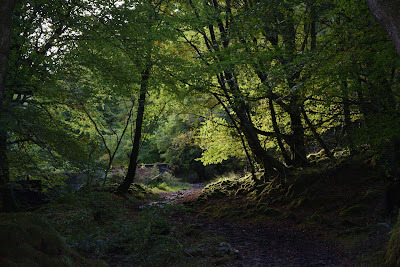 There are woods all over Mull. 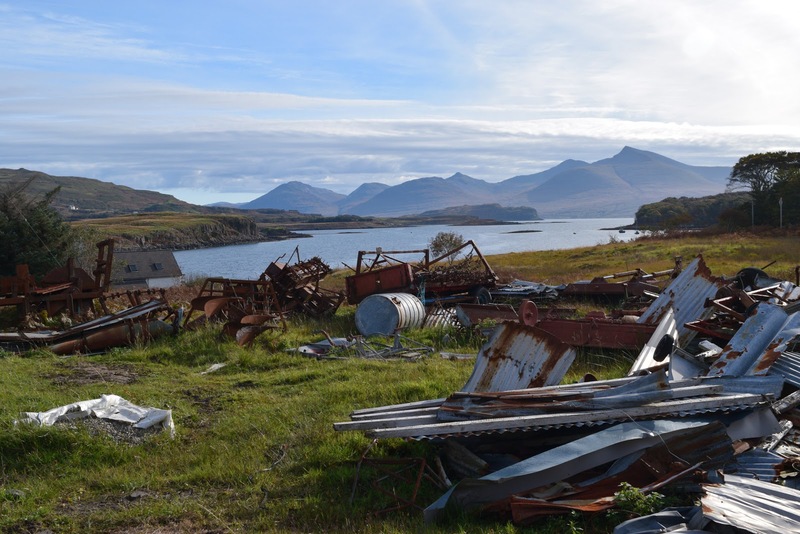 Those on Loch na Keal and around Loch Ba are particularly entrancing. 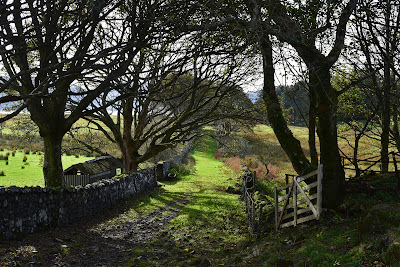 We looked up to the hills. 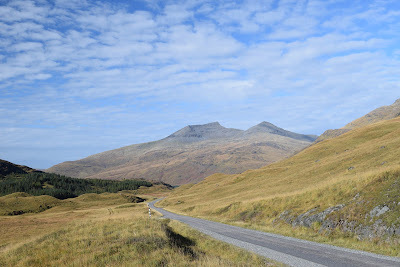 There are few paths on Mull, and while Ben More is popular, nobody really comes here to climb any other hills, despite this being a very hilly island. Why aren't these hills more popular? Standing on the shores of Loch na Keal with the late afternoon sun dappling their slopes, it seemed a great mystery.